Packing over 1.3billion citizens, China is the most populated country in the world. Population that is driven by the changing and diversity of markets, Chinese citizens have embarked on businesses and the population as had the positive side of investors. The topography of the country and the terrain allows the construction of transport systems that serve the large and extensive business arena. The business arena and the readily available market for goods and services by the Chinese go hand in hand for local and internal investors to get a portion of the market to their growth. When China attained the right to host the 2008 Olympics Games in the year 2001, the government started plans to making the Olympics to be the best in the history of the games. However, the government plan was to face challenges like putting up world class transportation system that was to capture the eyes of the visitors; managing the pollution that has been in the recent past before the games an environmental hazard; controlling the traffic and establishing accommodation hotels across Beijing. The efforts were not as a move to impress the visitors who were to come; this was aimed at setting a mood for investors to expand the economy of China. If nobody owned a business in China during this period, the government and it’s preparation for the Olympics would have given all citizens jobs to help in the preparations, however, this is not the case most of the unemployed citizens in China during this time got jobs in the construction industries to provide labor in building the stadiums, hotels, subways, railways, roads and environmental pollution control stations. The number of people that was employed to do this exceeded 2million and this on the side of GDP improved the economy by 0.03. As much as population in China is concerned, improving the GDP isn’t a short term task for a country as large as China, but with the aim of recreating and improving its image the Olympics were a factor of image and economic strategy for China. 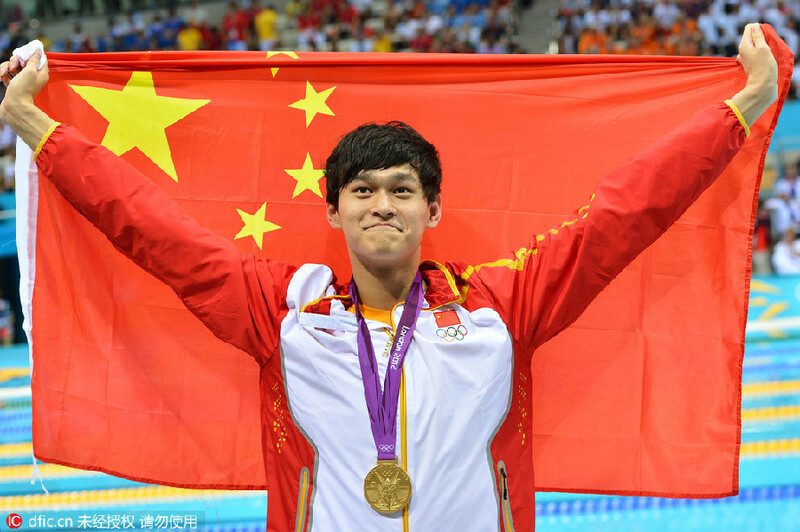 The aim of the research is to evaluate the benefits that the Olympic Games brought to Chinese citizens. Besides the Chinese, many other countries have the opportunities to host such games and as a way to shade light on the economic side of the games, this research will look into the positive impacts of the games and the negatives. May be providing a solution to how to deal or avoid the negative economic impacts of the games. Did the citizens of China benefit from the preparations of the Olympic Games by their government? A price policy to favor the Chinese citizens came as a result of the improved transportation system in China. This move saw many of the Chinese citizens opting to use public means rather than private means. The public means services and provides increased their income through the priority its citizens had developed towards the price reduction and the efficiency of the system. The change of fares on public transport reduced subway ticket by 1.3 Yuan. The adjustment to both the subway and bus fares resulted to Beijing being termed to have the cheapest means of public transport. Beijing being the capital of China and the center of business, it’s worth the adjustment to investors whom and their employees use the means as the only transportation option. The output of businesses would grow given that expenditure on transport has been cut. The margin of profits to businesses like delivery services would be favored in that the amount they used on transport to deliver goods and services is minimized. The year 2007, the Chinese government increased the subsidy of finance on public transportation in Beijing to 4.15billion to carter for the adjusted ticket price. With the mode of transport half or even further catered for, the public utility on transport is improved. The road use by private cars leading to traffic is cut, thus the industries using long vehicles to transport labor, materials and finished goods would be saved in terms of time, expenditure on excessive fuel used at traffic and management of their supply output to satisfy demand. The smooth flow of business activities improves the customer-client relation hence improving the economy of individuals when expenditure on related factors is reduced. What does the common citizen require to capture a business opportunity? It would be consideration of the factors influencing the business directly or indirectly. The number of Chinese citizens who took transport as one of the hindrances in venturing in business had nothing to complain about prior to the Olympics. Roads, subways, water and air transport had been put to the standards that were reliable for whatever kind of business one was interested in starting. This set a general mood of investment across the citizens. The investments were aimed at utilizing the reliable transport system. The outcome of this was a great change of individual economic margin and an improved GDP. For water transport, harbors where improved and installed with the latest technology for docking activities. Cargo ships would load and offload with considerable time saving period. This in return improved the export and import industry. Taxes on duty and other related costs that came as a result increased, economic stability of citizens who acquired jobs in those areas helped in pushing the individual and the national economy a step further. Land transport, vehicles mostly, contributes a large proportion to the group of pollutants was controlled by the construction of more subway means of transport. This resulted to a good cut on the pollution margin in Beijing. The reliability of the subways was substantially associated with good business in terms of mobility of form factors, market reach, services delivery and management of time in general. Roads were recreated to over a broader margin and capacity for smooth traffic flow. The impact to the economy besides the citizens was a higher driven economy in that the importation of fuel went up, more import duty tax; higher fuel consumption, market for dealers; usage of both public means and private means resulting higher market for motor vehicles. The companies maximized their profits by offering good deals on motor vehicles as one way to encourage the citizens to take advantage of the improved roads’ network. What advantages did Air transport as a result of renewed airports come with? There are a number of these. We all know that air transport is one of the fastest means of transport. The air transport affected a majority number of people and firms that deal with perishables. The horticulture industry was one of the beneficiaries. Whether it encouraged foreign investment or not, the efficient means of transport facilitated the start and rejuvenation of the horticulture companies. This was encouraged by two main factors; reliable readily available air transport and the horticulture friendly environment. The boost to the national revenue through this was an immense success. The coverage of the international and local flights becomes wide. International and local tourism was affected positively in that there was an effective mechanism to facilitate its growth and expansion. Clean environment acts as a mechanism propagating the growth of individual interest in venturing to business. It encourages investment to vast businesses such as bottling of clean water and horticulture. The Olympics had its sponsors and besides, local companies also prepared for catering hospitable services to the various foreigners and local tourists that were going to be hosted in Beijing. The establishment of more fast food cafeterias and hotels, water and beverage companies showed a clear cut expansion of the market. Some leveled marketing ground was discovered and types of markets changed. Monopoly for some types of businesses was aborted and to some others expansion had to be done. Besides the opportunity of employment to the Chinese citizens, diversity of goods and substitutes due to expanded market influenced the shopping habits of consumers. This led to higher sales and overall boost to the contribution of the national revenue. Fishing in China did not stand as a form of business nor has any firm seen it as a business opportunity. Within the cleaning and managing of pollution, water in rivers, lakes and ponds within and near Beijing improved in its capacity to sustain life. By this fishing took a commercial turn that made it an investment project. Besides the commercial purpose, clean water encouraged fish farming to the domestic level. The citizens would keep fish for the purposes of domestic use. The impact of this would be a cut on their daily expenditure on food stuffs. Small scale fish farming for a limited fish market was also practiced. The earnings from fish sale though not taxed at times benefitted the citizens in providing a livelihood of comfortable lives. The food industry in china and at the level of the urban living is comprised of a variety of options. Most of the raw materials in the food industry especially packed food depend on living organisms. The clean up of the environment boosted this sector in that hygienic organisms would be packed. Earlier this would not be the case because most of the life in the water and the surface of land would result to food poisoning. The Health Organization Board and the Chinese Ministry of Health would consider some of the food stuffs non-consumable and thus result to closure of the companies. The preparations of the Olympics set these companies back to business in that the environment they were getting the raw materials was clean and no poisoning would be risked. Making Beijing Green was an initiative that was aimed at making the suburbs and the streets greener and beautiful. This was to create beautiful scenery to the foreigners and tourists who were to be expected as the Beijing Olympics were concerned. There were 150 projects to grow vegetation along the roadways related to the Olympics’ Games venues. 1,026 hectares of land had been put under vegetation coverage before the end of 2007. The efforts had yield 85% so far of the targeted areas. Above is a photo of the initiative that was aimed at transforming the Beijing city to a green zone. The progress and the target of the green initiative made Beijing a livable and beautiful place. For the suburbia dwellers, they were provided with recreational packs. The impact of the Olympics Games was in all forms and shapes as the economy and the general aspects of life were concerned. The recreational packs that were put in place encouraged local tourism and provided a livelihood to the gardeners and the personnel involved in taking care of them. Demand for services related to recreation was brought higher this resulting to revenue for the city councils and the involved parties. Sewage treatment plants had been put in place. They were aimed controlling the waste that was being deposited in rivers and other water bodies. The sewage facilities benefited the local population by giving chance to growth of plants and raring fish and other aquatic animals in such water bodies. The general purpose of the sewage treatment plants was aiming to controlling the sewage system. The control was to result in benefiting the agricultural sector and the industrial sector. For the agriculture clean water free of waste was to serve as a resource for irrigation. For the industries the water was to be used as an industrial coolant. For the environment in general, clear water in rivers and lakes, beautiful scenery and watering of the Green Beijing Initiative. All that is beautiful is attractive to the eye; residents and the Beijing government benefited from foreign tourists coming to sight-see and enjoy the fresh environs. The creation of gymnasia and other sporting facilities and impacted the citizens in major ways. There would be a general mood for people to enroll in the gymnasia for body fitness. The overall result would be a reduced rate of obesity among the people living nearby. If the standards of personal health improved this would be reflected on the national budget. The amount of money that would be allocated for health concerning obesity and other issues brought by lack of exercise, would re relocated to other factors or send to assist in other projects. Constructing rails and complex road network was looking far beyond the Olympics event, once through they still remained, the majority of business activities that rely on these form elements of business would be accruing interest all through. The demand of goods sometimes exceeds the capability of supply. With an efficient road and rail network, supply of goods and services to meet demand on the market would flow timely. However, with good transport, it may lead to surplus in supply hence affecting the pricing of goods and services. During the period between 2002 and 2007 China went through a series of adjustment that reflected both positively and negatively on the market and to individual consumers. The availability of diverse facilities did not mean easy life to the common citizen. This triggered the establishments of other smaller businesses that were pocket friendly to the common citizen. This still was expanding the market, some time for the better and at times to not so good. Despite the outcomes of these, Chinese citizen in one way or another kept discovering opportunities that of importance to their economic status. One in every few Beijing dweller would get an alternative if the classy establishments were not so economical to use. The Birds’ Nest was the main Olympics stadium that the 2008 Olympics were to be held in. The construction of the stadium resulted to three major financial and economic benefits. Labor was required, to get labor besides the engineers and architects, other companies would be sort to train people on what to do. Though the opportunity was for a limited time, architects, engineers, training companies, security companies and the general Beijing populace were all involved. This involvement led to employment, acquiring of skill and to others experience. The construction was up to date and the technology used was top class. The experience influenced people and investors to venture into engineering, architecture and other related business opportunities. Sports time and season get’s everyone in the mood to participate. The Chinese athletes after the completion of the stadia construction were the first to train and get themselves familiar with the fields. The home advantage and the Chinese urging its representatives to fully participate and attain as much victory as possible, they were allowed to train for free. Therefore, the amount of money they would have used to rent trainers and training grounds was catered for through the government. This was like a sports subsidy to encourage the participants to do prepare for better achievement. Some of the short lived benefits that the event’s preparation efforts brought by included hiring of fireworks’ engineers who were to design their projects prior to the games. The fireworks’ company and the engineers entered into contract for the supply and making of the desired display respectively with the government. Chinese isn’t a poor economy and its government doesn’t belong to the likes that would opt for cheap labor. The pride they boost of was transferred in hiring the best known firework engineers. Whether an engineer or a material supplies personnel, the out was the sane but the margins were differing. Who was to cover the government spending on the preparations of the Beijing Olympics? The cost of the preparation was not covered by sponsors. The Chinese government was out to cover their dented image to the global village. When all the settings and preparations were in place, what followed was paying of the price. This was directly transferred to the common citizen through all taxed goods and services. Inflation grew so rapidly with a short period that the middle earning citizens could hardly manage on legal operations. Tourism was affected by this inflation because local and international tourists have to find accommodations. For the international tourists, they would log to the internet to book accommodations but comparing the Beijing and other parts of the world that can substitute China, they would opt not to tour China. The local citizens from across other parts of China had a difficult time when touring locally. The impact of inflation was costing China a big deal of Tourist income. The gymnasia that were created served elite athlete who had the kind of money to cater for the hiked fees. Generally despite the fact that the city of Beijing was hosting the Olympics, this fact of unaffordable gymnasia derailed the sporty mood of the citizens. The amount that was supposed to go to the gyms would be put to other uses. The population of Beijing is 1.1% of the national total. The amount that Beijing contributes to the national GDP is always less than three percent (3%). Whether the amount used in the preparation of the Olympic event, $40billion, was to be recovered this was only 0.03 0f the national GDP. All these aimed at encouraging investment, the discouraging part being that the development of Beijing to a world class investment platform did not allow for spillovers. The investors who were attracted by the Beijing scenery and availability of market would only invest in Beijing only. The rest of the extensive cities of China would have none of it. At the national aggregate Beijing population and the amount they contribute to the total national revenue is not significant. The long-term assessment of thee facts contribute to a decline in the numbers and the percentage of the GDP aggregate. Do all of the China visitors have to get there to know how the place is actually? Media is the means to broadcast the Beijing lifestyle and environment to the world. Prior to the Olympics media personnel and journalists would be directed to air what the government wanted. Controlled media freedom was rampant. Neglect to the directives from government led to a vast majority of journalists being arrested and tortured. Controlling of the media by the government was a move to mask the dirty operations that were taking place behind the face of the world. Making Beijing look presentable to all people, controlling the environmental pollutants and creating sewage treatment plants; was enough to make anybody believe the rest of China looked the same. The liable source that could have opened the eyes of the world was the media whose freedom had been masked. China is the world’s notorious country in controlling and censoring websites. Its effectiveness in doing controlling websites, as led many websites who could give a clear picture on China being put out of operation or being disabled. This factor to the common citizen and foreigner has a scary side to investment. Many companies that came to China on a feasibility assessment did not find exactly what was being aired. Some revelations were disturbing to the investors. Those who rely solely on a bigger scope had to withdraw the whole idea of investment. Coverage of some bits and leaving out others was substantially a clue of not so much of good news as economic investment was concerned. Focusing on one thing too much can harm the economy of a country. Beijing on its case put every focus to the Olympics and forgot or neglected deliberately dome other sectors of the economy. The capital education investment was slashed; this meant the standards of education were to go down were the government hand was needed. The economic output of any country relies heavily on education. Poor education on the other hand would lead to deteriorating economic fueling like market strategists, financial advisors and statisticians. On the sector of health, the amount that would be allocated for the health in previous years before China won the petition to host the Olympics went to cover the extensive government spending on the preparations. Economy hanging and leaning to one side is an unbalanced one. There could be no way government would allocate the funds for health to boost the arenas and venues for sports. This was a blow to the citizens in that, those who held health policies from insurance companies would be forced to spend their money before the government paid off the health benefits of its employees to the insurers. In 2007 it was discovered that Beijing was holding back adjustment policies on economy up to until August 2008. They were doing this to maintain social stability during the period till the Olympics Games started. Evidence since early 2004 had shown that Beijing was fast in taking economic control measures as immediate as it had felt that economic growth was running out of control. Some of the economic wrangles that were going on included six hikes in interest rates and ten reverse hikes on requirement ration on banks with the period of 2007. Feeling the severe measures of the requirement ratio hikes, the central bank resulted to hiking the reverse requirement ration up to five times before the end of 2007. This led to a record hike in the ratio to the margin of 17.5%. The overall China profit growth at the industrial level dropped immensely to a weak 21% with five months from a possible 43% at the same scope of time the previous year of 2006. Since 2004 oil refining and utility sectors have contributed 15% of total China’s industrial profits. This sectors the same that had contributed to the sharp drop due to their profit slump. Due to surging costs of input, the two sectors had suffered big losses on that fact that the government was barring them from raising the prices of output. The resulting overall measures to keep the companies functional and cut on expenditure was to lay off many Beijing citizens from work. The adjustments on the workforce were aimed at balancing the input expenditure and the output profits. Equity investors could not borrow from Banks and Brokers, margin trading was not allowed. The Domestic Financial system could not exercise systemic risk; this was because there was a limited market correction. For the private sector equity financing wasn’t prevalent yet. The change on the stock prices a minimal impact on the cost of capital. The Olympics were not just exciting the diaspora, they were leading to a major slump on the stock market. The hosting of the 2008 Beijing Olympic Games was both an economic blister and a financial cake at the same time. The short lived fruits of the event served as the financial cake, while the dents that were coursed to the common citizen affected the primary economy more. Big companies can put and pull themselves out of financial difficulties but how about the citizen who was out there by his/her own government. China’s economy as a whole could not be pushed by Beijing alone. A few benefits to the citizen were accounted for; they may be millions of benefits but what about if the negatives are almost catching up? The case of a few arises. To the residents and businessmen of Beijing the preparations were a big economic boost. Roads, subways and airports were put in place to mediate proper channel of business mobility. Beijing economy improved to individual citizens and industries but the collective nationwide output wouldn’t have been promoted by Beijing alone.